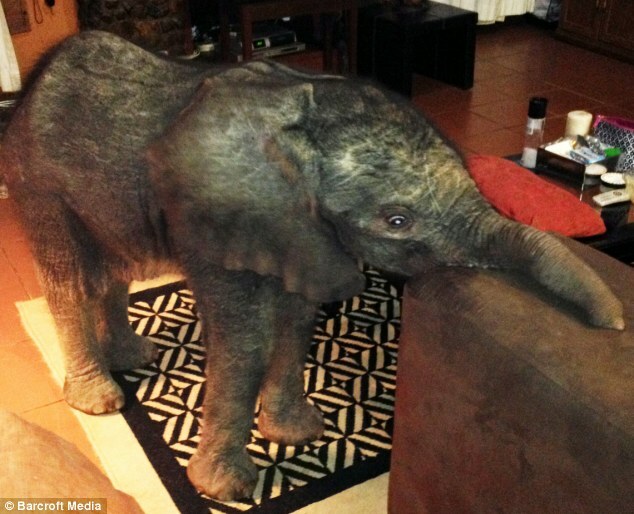 Owners could not believe their eyes when the little explorer then stumbled into her front room. 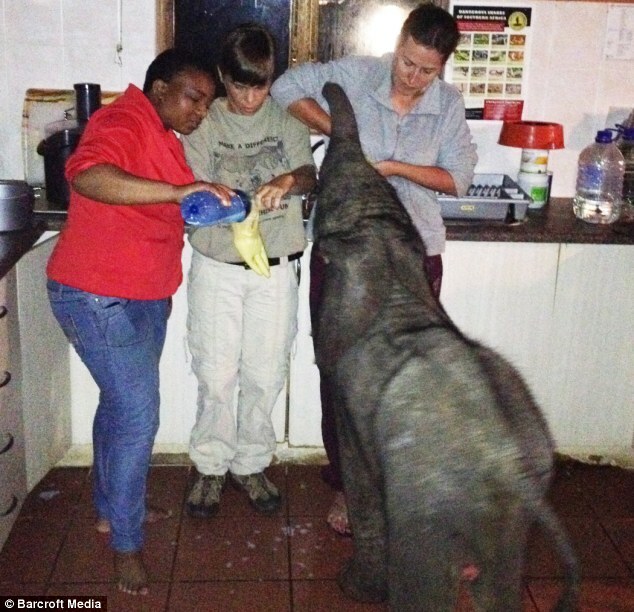 The young female, named Tom after the ranch’s chef who first discovered the elephant in the garden, is thought to have travelled around 30 miles before ending up at Thula Thula Reserve on Tuesday night. Mrs Anthony and her staff ensured that the baby elephant had food and water as rangers headed out on the reserve to track down her mother. 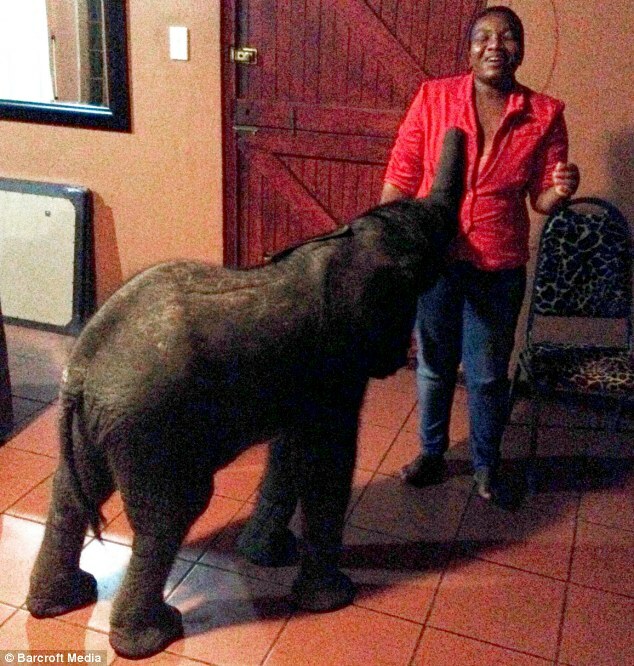 Mrs Anthony, who has owned the reserve for 15 years, said she has never experienced anything like this – and was shocked to find that the baby was the calf of an elephant her husband had rescued several years earlier. 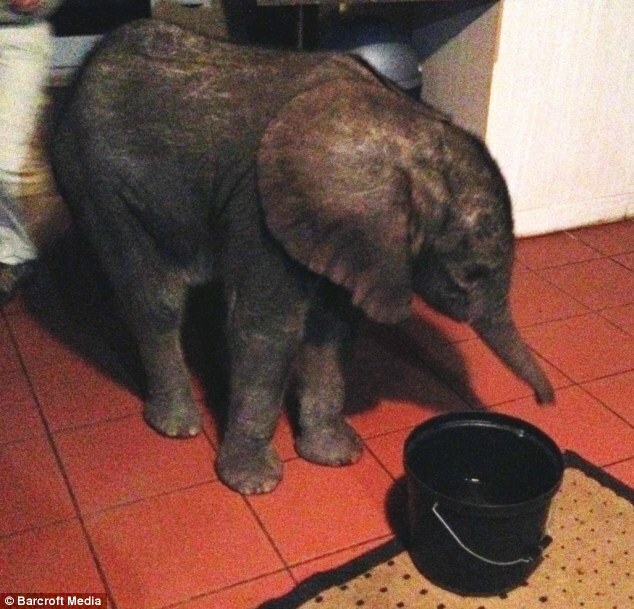 ‘She must be like the littlest hobo as baby elephants never ever get lost from their herd. ‘It's also remarkable that she ended up at my home - we have 4,500 hectares of land and she was spotted a day before she arrived at my home with her herd at the other end of the reserve. Mrs Anthony and her staff left Tom the elephant free to roam and were careful not to have too much contact with the animal, fearing it might make her mother reject her. ‘Her mother - who we rescued from a neighbouring reserve which was going to allow a hunter in to shoot her - was delighted when Tom was finally reunited with her. ‘I can't say the same for Tom - she must be a bit of a renegade as she tried to run after the van as we pulled away. ‘She was only here for a few hours before we managed to get her back but it was magical. ‘Her herd was monitored overnight to make sure everything was fine and she was accepted back in. 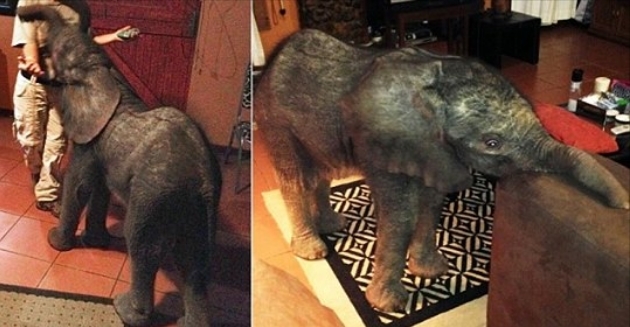 ‘It really is a remarkable rescue story. I tried to take photos but couldn't use the flash as I didn't want to startle her. 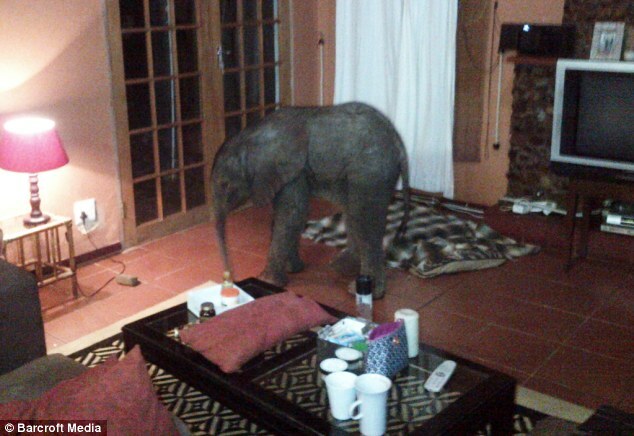 Responses to "Lost baby elephant wanders into South African family's home"